Are you always choosing the steepest and deepest lines, leaving your friends behind with open jaws? 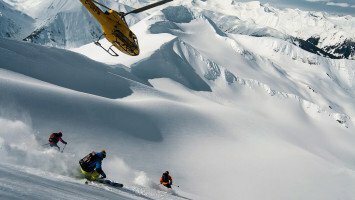 Are you having the time of your life riding steep lines? 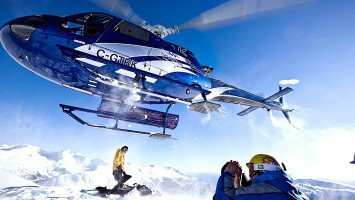 If so, our ultimate heli-skiing and freeriding trips will take you to the next level. With LUEX YOU can be sure that our offers have been carefully prepared and checked by experts. Pick a spot on the map and call us to get the best deal. Are you a daredevil? An adventurer? Are you always looking for the next extreme sport? Is skiing not skiing unless the slopes offer the steepest and deepest lines? And you don’t like to snowboard unless you have plenty of cliffs to drop and powder to play in? Then our Steep and Deep Riders trips are perfect for you. LUEX can help you find the most extreme terrain, steep slopes, deep powder and everything else that you thrill seekers love. From the wild, snowy region of Kamchatka, to the big terrain and abundant powder of British Columbia, if you dream of skiing or riding in remote places or on the steeps you could only imagine in a movie, then LUEX has got something for you. 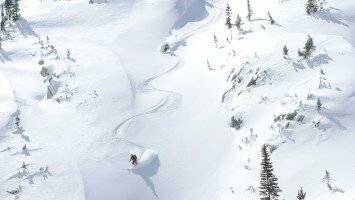 Our steep and deep rider trips are located all throughout the world with dozens of options in North America, where the mountains are massive, across the sharp peaks of the Alps in Europe, to the untracked terrain of Asia and beyond. 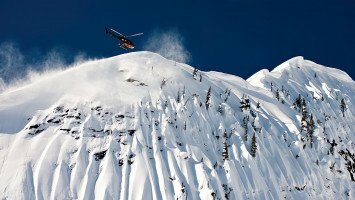 Steep and deep riders will find their biggest selection of trips in Alaska and British Columbia, but we also have plenty to choose from on every single continent. 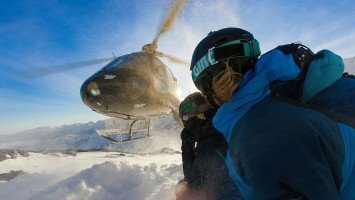 There’s nothing quite as steep and deep as the powder you’ll find on a heli trip, taking you far from the lift lines to the wide open spaces, steep chutes and gladed bowls of the backcountry and most our trips for steep and deep riders are heli trips. 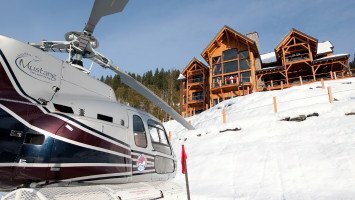 If you’re looking for a more affordable option, or an opportunity to learn a few skills on your skiing adventure, we also offer a few snowcat trips and many options of freeriding trips and even steeps clinics, perfect for those that want to take their steep skiing skills to the next level. It goes without saying that you’ll have the most fun on our steep and deep rider trips if your skiing or snowboarding level is advanced or pro, but we also have quite a few options for intermediate and just a couple beginner level choices too. 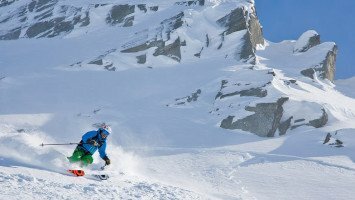 Because our steep and deep trips take you to some of the world’s best untracked powder and most difficult to get to terrain, many of our trips are in the luxury and medium price ranges, but even budget travelers will find a handful of ski trip options. Steep and deep riders that want to experience the epic terrain of North America have plenty of options offered by LUEX and some of our most popular trips might be perfect for you. 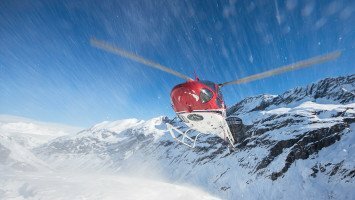 All across British Columbia you’ll find a great selection from the Eagle Pass, to Bighorn Heli Lodge at Revelstoke, or Last Frontier, Northern Escape or Skeena, just pick your perfect heliskiing trip and get ready for amazing steeps and deep powder. 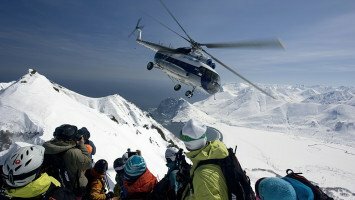 But if you want something that is perhaps a little more rustic and bit more rugged, head to Alaska where Valdez Heliski, Point North Heli and the Chugach Powder Guides offer a chance to ski the wild terrain you’ll probably only see in extreme skiing movies. If you’d rather head east, we’ve got something for you down on the island of Hokkaido in Japan where there might just be more powder than anywhere in the world and there’s plenty to do on and off the slopes. Wherever you want to go, whatever you want to do, just let LUEX know and we will make your extreme skiing or snowboarding dreams come true.